NEW YORK — Yes, Aaron Judge saw the highlights. “It doesn’t surprise me,” Judge said. “You see him, and he’s built like an NFL linebacker. You saw the play with Josh Reddick at first base in the spring. Reddick was going full speed and Pete was just kind of off-balance trying to make a play. He stopped Reddick right in his tracks. During a brief cameo with the Yankees in 2016, Judge hit .179 with 42 strikeouts in 84 at-bats. And, even in his historic rookie campaign, he struggled with a shoulder injury — which wasn’t helped by winning the Home Run Derby that year — and hit .179 during a 44-game stretch from July 14 - Aug. 31. Alonso has struggled early with strikeouts (21 in 59 at-bats) and is on pace for more than 200 this season. Judge, who has found a home in the No. 2 spot in the batting order just like Alonso, was able to come out of his slumps and have sustained success. 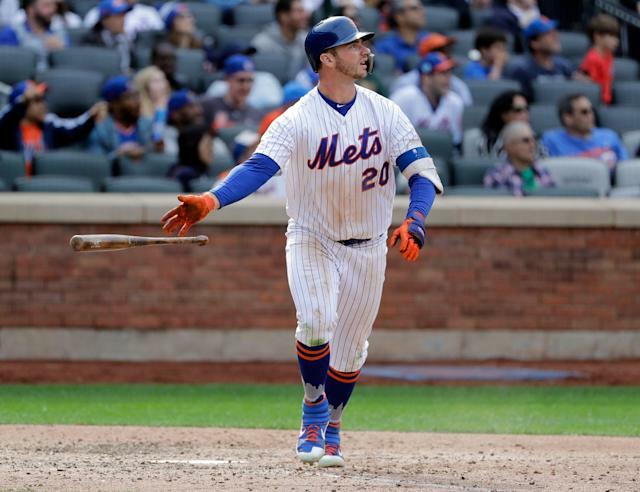 Alonso’s sample-size to date may be small, but it allows both Mets’ fans and the organization to dream on his potential over a 162-game season. Judge felt fortunate because he was able to lean on smart veterans like Matt Holliday during the adjustment process. Scouts wonder whether Alonso can keep it up. Added another scout who last saw Alonso up close at the 2018 Arizona Fall League, “He stayed on fastballs really well. His only real weakness was breaking balls away from him. But pitchers are going to have to execute against him. 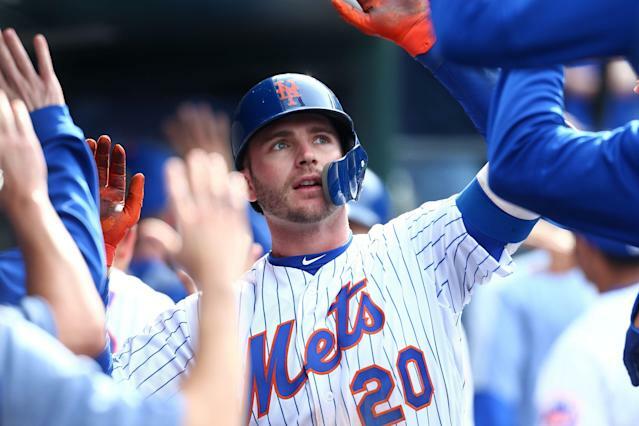 Regardless, Pete Alonso has suddenly made the Mets and their revamped offense very interesting again, his at-bats quickly becoming must-see TV. Aaron Judge remains that guy for the Yankees. And both Alonso and Judge know that feeling of blasting a no-doubt-about-it bomb. Their power-hitting prowess could make for an intriguing Subway Series come June at The Stadium.